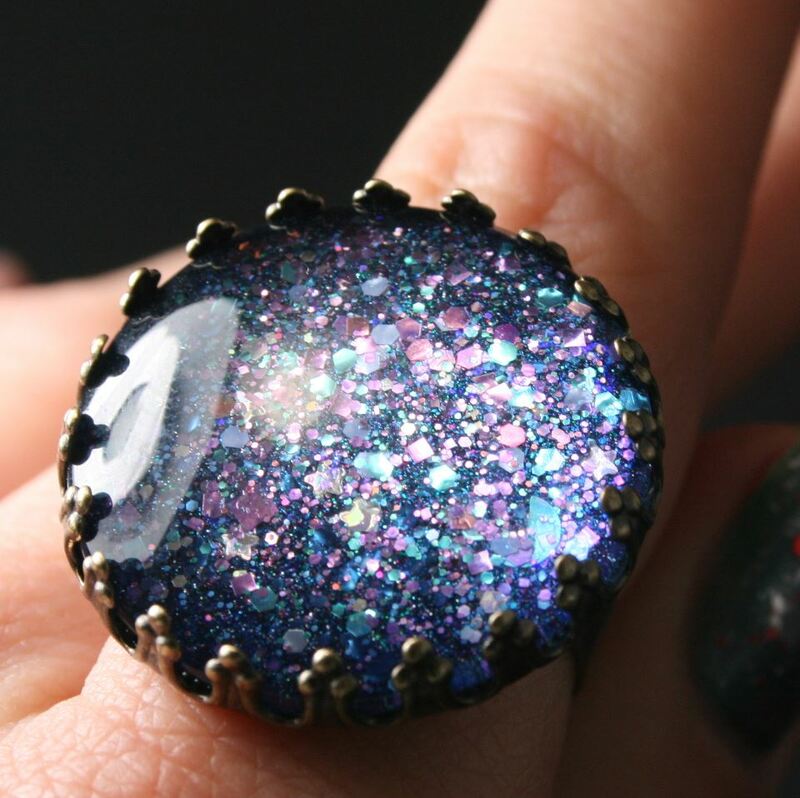 Julep Harper is described as a full-coverage opalescent mermaid blue multi-dimensional glitter. All nails are 3 coats with a top coat of Seche Vite. I loved this color upon first seeing pictures, but I knew as soon as I saw it in person what it's dupe would be. Regardless, I do love this color and Julep's formula, though a tad thick, is nice. Wet n Wild Happy Holidaze! is a perfect dupe for Julep Harper with a few small differences. 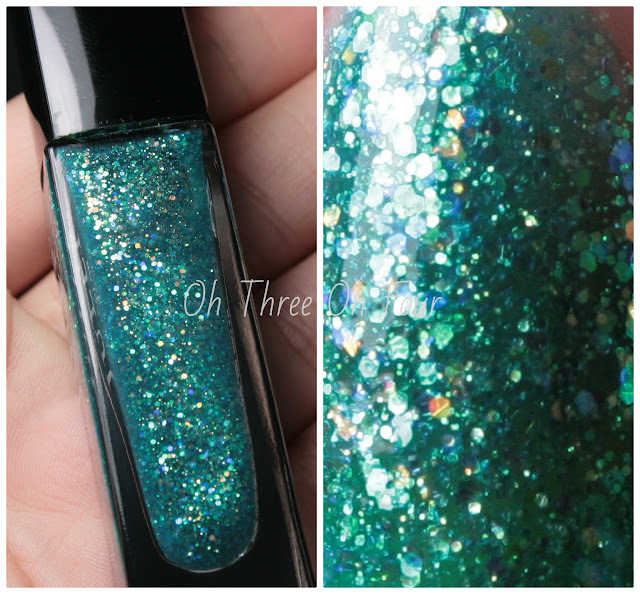 Happy Holidaze is much thinner and shearer, it took 5 coats of Happy Holidaze! compared to 3 of Harper. Even at 5 coats, Harper had more glitter on each nail than Happy Holidaze! and Harper had a quicker dry time despite Happy Holidaze! supposedly being a quick dry polish. If you don't mind having to apply more coats Happy Holidaze! is a better value at $1.99 for .46 fl. oz/ 13.5mL, while Harper is .27 fl. oz/ 8 mL for normally $14. Personally, I like formula of Julep better even if it is more expensive. 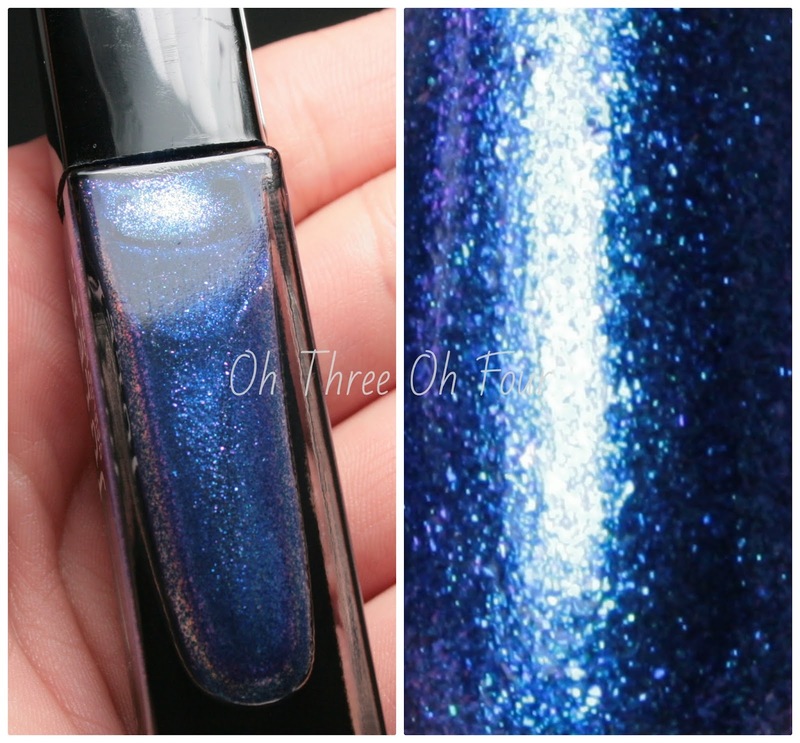 Julep Ivy is a cobalt blue shimmer with pink/purple duochrome. I used coats 4 coats with top coat of Seche Vite. It took me a little while to figure out what polish duped Ivy. I knew I had one, it was just finally coming across Pure Ice Getting Gorgeous in my collection. Getting Gorgeous is a tad bit darker than Ivy, but my photos show the difference more than it appears in real life. Formula and color wise, Getting Gorgeous wins hands down. It only took 3 coats compared to 4 coats of Ivy and while Ivy wasn't terribly thin, it was noticeable thinner than Getting Gorgeous. Price and bottle size, Getting Gorgeous wins again. Ivy is normally priced at $14 for .27 fl. oz/ 8 mL versus Getting Gorgeous at $1.97 for .5 fl. oz/ 15 mL. My choice is probably pretty obvious: Getting Gorgeous! 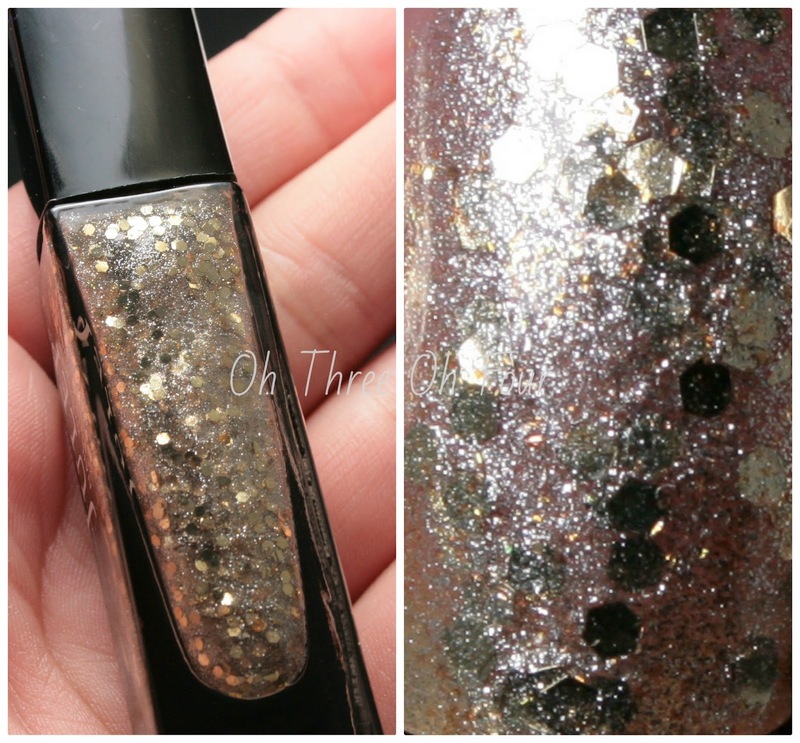 Julep Vivien has a shimmery gold and silver base with larger gold hexagonal glitter. All nails are 3 coats with a top coat of Seche Vite. I haven't found any polish to dupe this one, so I guess my Julep Maven December box wasn't a total bust. ;)Formula was a bit thick , but workable. This color gives off a champagne vibe, as described my Julep, I'm just not sure if I love it. Included in my Julep Maven December 2012 box was a do it yourself polish ring, I showed this off on Facebook, but in case you missed it! Julep can be purchased online here or in store and online at Sephora. You can sign up for Julep's Maven program with my link here and use the code PENNY to get your first box shipped for just a penny! Find Julep on Facebook here and Twitter here. Wet n Wild Happy Holidaze is from Wet n Wild's Best In Show. It can be found at mass retailers like Walgreens in store. It is a limited edtion color, so pick it up now if you are interested! Wet n Wild is on Facebook here and Twitter here. Pure Ice Getting Gorgeous is another limited edition shade, Julep does have the advantage of these colors not being limited. It can be found in store at select Walmart stores. Like Pure Ice on Facebook here and follow them on Twitter here.